I’ve always sewn clothes, made pictures, sculptures–tactile, physical objects that I could share with others pretty easily. For a number of reasons, writing has become a great creative and personal outlet for me. But how to show and share words? Contests, blogging, writing plays and joining writing groups have worked for short fiction. Recently I finished a novel, inspired in part by a street in Wortley Village. Tecumseh Avenue is the only native name among so many traditional English names. It took a lot of research to find out the story behind the name, and I used the presence of this First Nation man in The Bones. I’m used to showing and telling what I’ve been up to. The logical thing — for me — was to make a series of illustrations and launch a book with pictures! Catherine, the textile curator, came to mind as having the perfect point of view for the illustrations. For more than 2 years, I have collected textiles–table linens, threads, and other bits and embellishments. I have pored over maps and charted the travels of the characters through a flood ravaged land. I have joined London branch of the Canadian Embroiderer’s Guild to bone up on my stitching techniques. I have 4 months left to finish the illustrations, and literally thousands of stitches to go. A long time ago, in the town I grew up in, I had my first Indie publishing moment in Mr. Smith’s Canadian Lit class. I wrote the story, drew the pictures, hand printed the words, and bound the pages with red electrical tape. Pretty cool. An excellent teacher, Mr. Smith went through the pages with pencil and pointed out my not-too-numerous spelling and grammar mistakes. He whispered to me (I was a class-slacker) that I should get this book published. I thought it was. Little did I know at the time “nurd” would be become a part of our vocabulary, and have a different spelling! Now with online printing platforms, I can go beyond a short children’s story and print out a whole novel, and many copies! In my case, I used CreateSpace, and being a pencil and paper girl, I had a hard time until I just followed the instructions. Oh yes, and I enlisted a friend’s help! Talking out design problems and getting the book just right was a great experience, and now it’s done. I have a BIG book. Mind you, I also booked a venue to hold an art show in 2018 — can’t resist illustrating a novel. Deciding how to include illustrations is still to be decided. I’d like it to have some of the charm of an “old-school” book, maybe with colour plates pasted onto blank pages opposite the text, or scattered through more randomly. It won’t be hand printed, but the illustrations will be hand-made. I’m proud to announce the release of The Bones, and will be among the small presses and indie authors at London Ontario’s Wordsfest — Southwesto Book Expo — held November 4 and 5th at Museum London. A cool start for a book. This short story is part of a series I wrote while working in literacy settings with vulnerable people. In this one, the venerable tea-leaf reading Allegra works the system to get a new toilet for her house. It’s been published today on a great site called Commuter Lit, out of Toronto, and it’s purpose is to entertain on the morning (or evening) commute. Read it for free! My mother and her sister were named after the months they were born in: May and June. Both have Alzheimer’s. Patricia May has passed away and but my mother ticks on. Here’s a section of a short story(fiction) that I’m working on about ‘June’ remembering Mother’s Day and then Father’s Day as she tries to take in the news that ‘May’ has died. They say no. She is not yet beside Mother and Father. Good. Tell them that on Mothers’ Day we pin a white carnation from the vase in the church narthex onto our cardigans and then we sit in the family pew waiting for the service. The pastor will deliver homilies of two kinds. May and I discuss how we would rather wear pink or orange carnations, and so we return the white ones to the vases in the narthex and pin the coloured ones on with long hat pins. The deacon notices and kindly says that there aren’t enough coloured flowers. Would we mind trading ours for the white again? We are mortified. Mother only pins coloured carnations onto our cardigans. Father’s Day is less complicated. We take fish and chips to the pond and share a great bottle of dark ale, wiping our greasy hands on the grassy bank, putting off our shoes and socks afterwards to dangle our legs over the edge, fishing bits of coleslaw from the Styrofoam container and tossing the limp strands onto the water, calling up the fish as though they are our friends, kicking our feet hard in tandem so that whenever the minnows do surface, we have created tidal waves for the poor things. Father would like to choke us girls for scaring the fish away, for disturbing them, yet he has no qualms about tricking the fish with worms and impaling them with hooks in the first place. For more reading about mothers with Alzheimer’s, try this graphic novel: Tangles: a story about Alzheimer’s, my mother and me by Sarah Leavitt. So, I’ve finished writing a novel, The Bones, and of course I want to put it out there. But the business of writing differs hugely from the craft, so it’s time to to do some research. The overall goal is to find a kindred spirit who will love to get my book out there. At this time, I’m going through the directory of Canadian Publishers. B was interesting, with one nibble. Then it was time for the Cs. I almost went down to Sarnia’s GenreCon in April to pitch my novel to ChiZine, publisher of DARK works. The World More Full of Weeping by Robert Wiersemaon was on their list, but the book wasn’t in the LPLibrary, so I got out Before I Wake by the same author. Really cool story, which I found not so DARK but rather hopeful. After ChiZine, comes Coach House. They unabashedly like Toronto and all things related in their non-fiction. I do situate the beginning of my novel in Toronto, so that’s good. For research, I started with Andrew Kaufman’s All My Friends are Superheroes. From the title and book cover, you may guess this novel is a weighty tome about the existential angst of Canadian identity involving world events in the Middle East–or perhaps Brighton. You would guess wrong! It’s a perfect darlin’ of a love story. Another title in the Coach House list that caught my eye was And the Birds Rained Down by Jocelyne Saucier and translated from French by Rhonda Mullens. It’s a story about the northern bush north of Timmins, but not in the usual CanLit way. There is suffering, but the woods are the remedy for Saucier’s characters. I don’t know a lot about translations, but I feel like I would enjoy this more in the original French, as the English feels awkward at times. The interspersed history of the Great Fires that raged through the area 100 years ago is pretty interesting. The reference to Farley Mowat was right, and I must have liked the workings of Mowat’s anti-bureaucratic mind enough that his philosophy and a bit of his wisdom has stuck. Never Cry Wolf is about a young, naive, biologist flying into the north tundra, and his literal face-to-face meetings with the wolves. His openness to what he really saw, a de-bunking of the myth of the wild, and of wolves beyond self-serving human narratives like Jack London’s, has become a model for wildlife management. 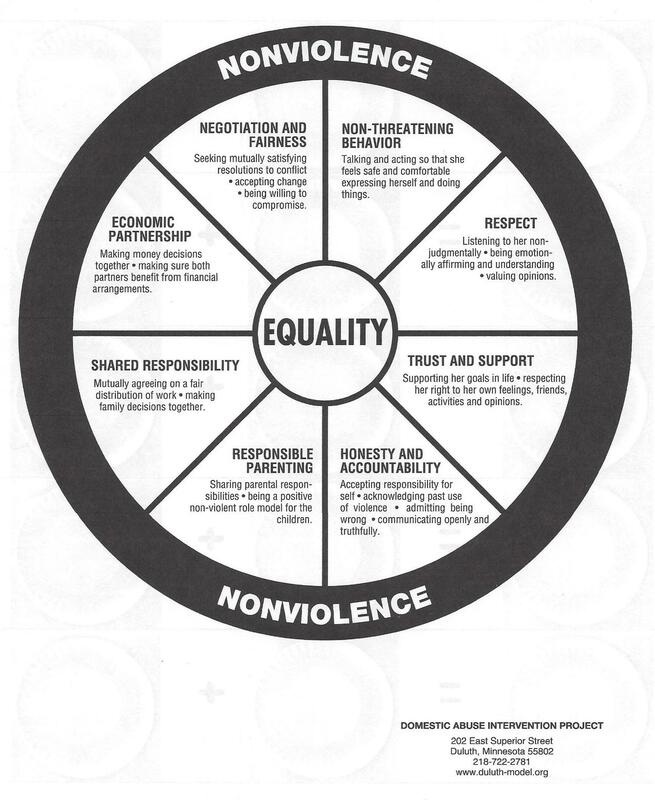 The best descriptor of the Never Cry Wolf relationships can be found in the Duluth Model of Equality, the changes needed to encourage a shift to non-violence in an abusive relationship. Mowat would encourage us to give up our violence and learn a more peaceful way from the wolves. 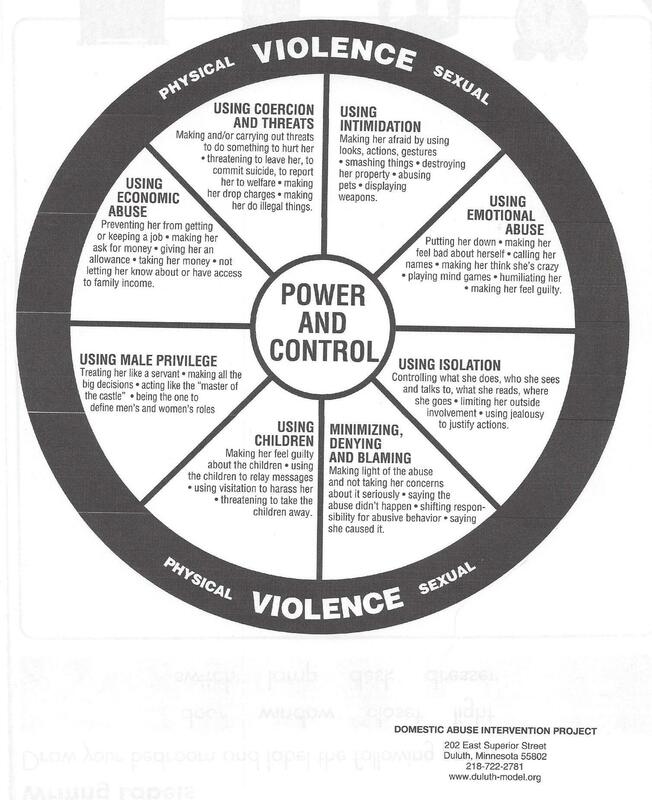 I learned about the Duluth Power and Control Wheel through volunteer training with the London Abused Women’s Centre. It describes the use of violence to exercise control, and I have posted them below, with love. A great guide for any relationship. Wish business/government culture would adopt it universally. Call of the Wild approach, so old-school. No need for aggression. And so Mowat does pee out a boundary and you’ll have to read the book to see if it really does work. And so my short story was built on the wisdom of an elder, who offered a great alternative to the violence of conquering. Call of the Wild, really? It’s funny what sticks in one’s mind. There’s so much information around us that I find some of it isn’t quite what one thought after it’s been fact-checked. Memory glitches, brain farts, stupidity, or perhaps, serendipity. Recently I workshopped a short story about a farmer who was peeing to mark his territory against coyotes, and someone in the critique group mentioned Farley Mowat had done that, hadn’t he? The bit of information seemed familiar, a sticky bit, and I wondered if I was referencing Mowat in the story. I searched the library and came away with a totally different book, Call of the Wild by Jack London. Not the right book, not all. Major brain fart. But what harm could come from reading a children’s classic? Through Buck, the dog, London develops a thesis of power and leadership that is cunning and Machiavellian, claiming it is “natural.” What had inspired my story was a totally different way of being in the wild. I made notes, mentally, about the way Buck went after power among his fellow dogs, how he became a leader. I think I’ve used, and been on the receiving end, of some of the techniques. Call of the Wild was not the book I wanted to read. It’s a violent, Lord of the Flies classic where the wild is savage. Yet it reminds me that there are narratives all around us about using violence to cripple others, to seize power. In some areas of the world, the violence is physical. Closer to home, the violence is more through withholding resources and information, character assassination, isolation. This makes politics difficult, when it’s about power rather issues. I can’t remember where I read this, but someone said that a campaign for justice is on the right track when the attacks become personal, when the isolating begins. That it’s part of the cycle of change and it’s bloody. But it’s a mark of being on the right path. I think of Maude Barlow as being an example of this. Another version of the wild is still stuck in my head. It’ll be interesting to see if Never Cry Wolf is the story where the man marks his territory in the wild with his pee, and not with firearms. I’ll be tracking the book down, circling the text, isolating the words when I find them–not to savage anything but to understand.